Our retreat begins with a slow-flow session at 4pm on Thursday, February 1st. Please plan to arrive between 1 and 3pm to get settled in. Retreat will conclude on Sunday with our final yoga session from 7:30 – 9am, and will be followed by brunch. You are welcome to enjoy your room and the grounds until 2pm. 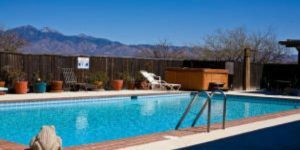 Tubac is about a 1 hour drive from Tucson International Airport. Please make travel plans that will allow you to get to/from the ranch in good time! 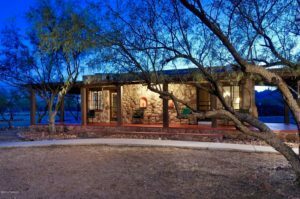 Kenyon Ranch, is situated just on the outskirts of the funky-cool-hip-ole cowboy town of Tubac, Arizona. It is replete with the gorgeous expanse of southwest nature and captivating vistas from every vantage. All casitas at Kenyon Ranch are super cozy and comfortable. 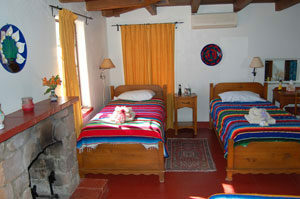 You will enjoy double occupancy with a shared bathroom. Single rooms are available for an additional supplement. 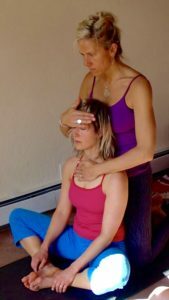 • Special guest, Nichole Ekman, assisting with Intuitive Adjustment segments! You will know if this retreat is for you…it will call to you from within! **The level of this retreat is appropriate for those that are comfortable modifying the practice as needed. It will be helpful to have no major physical issues that would limit movement kneeling, squatting, weight-bearing on wrists or inverting. Once you receive the inspiration to say “yes”, please register through the Paypal links below or pay by check. $400 non-refundable deposit secures your spot. Final payments are due no later than December 31st, 2017. All payments are considered final and non-refundable as of December 31st, 2017. If full payment is made and cancellation occurs BEFORE December 31st, credit will be issued back minus the $400 non-refundable deposit. M Yoga Studio reserves the right to cancel this retreat in lieu of insufficient attendance. All guests would be notified no later than January 10, 2018 and full refunds, including “non-refundable deposits” will be issued back to registered participants. 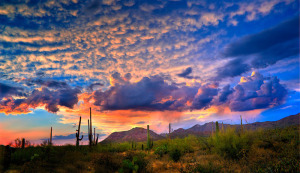 Our retreat falls in the middle of the AMAZING Tucson Gem Show. Ross and I have attended the gem show for the past 5 years and would be delighted to help you focus your interests. 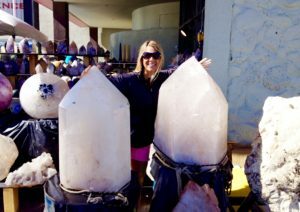 You may want to consider and extra day or two before or after the retreat to attend this incredible event that has one of the most comprehensive selections of crystals in every shape and size imaginable. We will also have crystals for sale at the retreat!